Well, it’s time to harvest the zucchini! If you’ve been following Remedy Recipes, you have seen some of my prior recipes using grilled zucchini & shredded zucchini, (using the ever-more-popular Veggetti!!!) This month, I present to you some interesting ideas using this versatile vegetable! 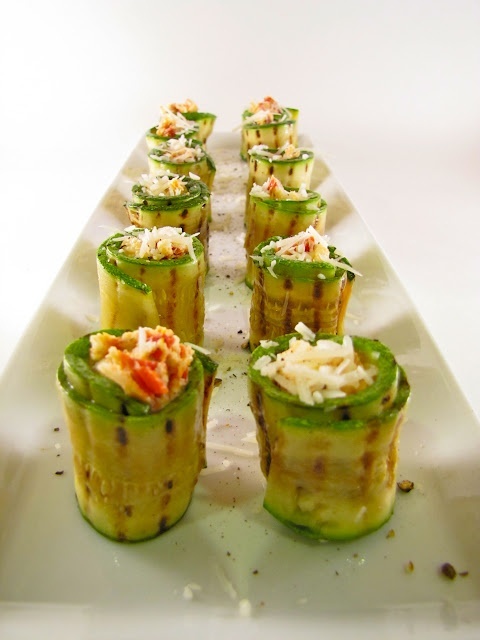 – Cut both zucchini in half, lengthwise, creating 4 halves. – Scoop out the flesh of the zucchini using a tablespoon, creating a boat-like container to be stuffed. 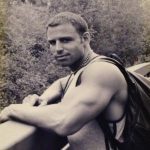 – Pre-cook the 1/2 pound Italian chicken or turkey sausage for five minutes in a pan or on the grill until golden brown. – Mince the scooped zucchini flesh, removing as many seeds as possible. – In a large bowl, mix the minced scooped zucchini flesh with the minced sausage, 1 tbsp olive oil, 2 teaspoons minced garlic, 1/2 cup diced onion, & 1/2 cup diced roasted red pepper. – Spray a large cooking pan with olive oil spray and heat on low. Place the mixture in the pan and sauté for 4- 5 minutes on low temperature. – Mix the 2 tbsp of crushed pecans into the sausage mixture. 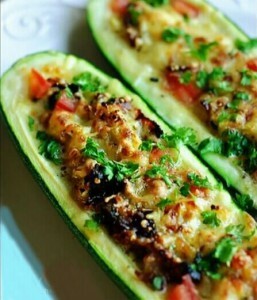 – Place the 4 zucchini boats into a baking dish, and fill each one evenly with the mixture. – Top each with a tbsp of grated Parmesan, and an equal portion of minced oregano. – Bake for about 25-30 minutes. Let cool for 1 minute & serve. – Make thin ribbon slices of the zucchini with a vegetable peeler. – lightly coat the sliced zucchini with olive oil & grill until grill marks appear on both sides. – Divide the thinly cut sausage evenly on the zucchini slices. – Divide the the provolone on top of the thinly cut sausage. – Roll and secure with a toothpick, & serve. – Lightly coat the sliced zucchini with olive oil & grill until grill make appear on both sides. – Lay baby leaf spinach evenly upon the zucchini slices. – Chop the imitation crabmeat into cubes and place evenly on the spinach leaves. – Sprinkle the 2 tbsp minced scallion evenly over the crabmeat. – Cut and squeeze 1/2 the lime over the mixture. – Roll and secure with a toothpick. – Squeeze the other 1/2 of the lime over the zucchini rollatinis, & serve. The Zucchini Harvest Boats may be used as a Meal 4 recipe on the Remedy Recipes Book format. Portions: 1 boat for women, 2 boats for men. It’s really a tasty meal that in some way mimics a stuffed pepper. From harvest to table, it’s a fun meal to prepare with children too! A side salad may be added to this meal as well. 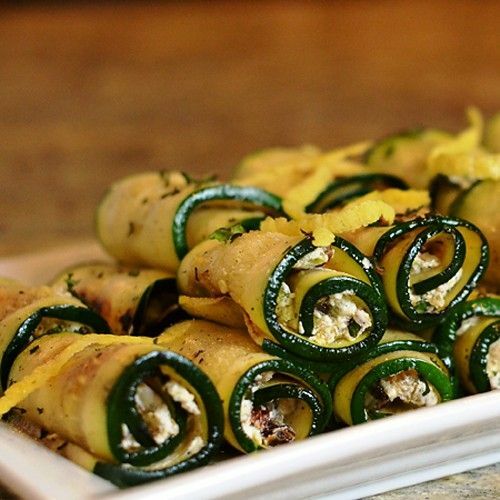 The Zucchini Rollatini Appetizers are a perfect, healthy appetizer to bring along to any BBQ or party for any season! Bring this one along to your Labor Day events this upcoming weekend! I don’t list portions for this one. As an appetizer, it’s an easy finger-food to give you a healthy option to have in moderation at a party!